It is said that 1 dog year is equivalent to 7 human years, because dogs tend to grow faster than humans. This is the common unit of measure used to compare dog years to human years, but it has been proven to be inaccurate. Most dog breeds that have an average life expectancy of 15 years, especially small breeds, reach maturity after 1 year, while humans, with an average life expectancy of 75 years, reach maturity at 15 years of age. Therefore, if we calculate 15 dog years over 75 dog years, one can say that humans live 5 times longer than dogs, or that 1 dog year is equivalent to 5 human years. It all depends on ones’ life expectancy, and the factors that affect it. There are different factors that can affect the lifespan of a dog and a human. With dogs, aspects such as breed, size, gender, nutrition, living conditions and individual characteristics, all contribute to a dog’s life. While with humans, factors such as health, living conditions, environment, and nutrition all contribute to human lives. According to studies, larger dog breeds tend to live for a shorter time than smaller breeds. However, some dogs can live longer than other dogs regardless of their weight, for example, a Doberman which usually reaches 15 dog years, can still live up to 20 dog years, while some smaller dogs do not really live as long as their life expectancy, like the Boxer dog, which usually does not reach 10 years of age. Generally, however, smaller breeds can live up to 22 dog years, which is equivalent to a human’s lifespan; and large breeds can live up to 13 dog years. There are also other considerations, such as mixed breeds in dogs and the gender factor in humans. Mixed breeds tend to live longer than pure breeds due to greater genetic diversity. 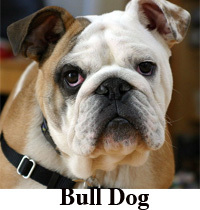 There are also other breeds that are prone to diseases like allergies and brain tumors. While in humans, studies show that females live longer than males, because women are said to have protective hormones. Dogs mature relatively quickly, and therefore, age faster than humans. The calculation is that, 1 dog year may be equivalent to 7 years or less, of human years, depending on the life expectancy of a certain breed. With dogs, small breeds live the longest, while large breeds live for a shorter time. In humans, mostly women live longer than men, but this may not always be the case, as there are other factors to consider, like health, environment, living conditions, nutrition, and individual characteristics. Ian F. "Difference Between Dog Years and Human Years." DifferenceBetween.net. January 13, 2010 < http://www.differencebetween.net/science/nature/difference-between-dog-years-and-human-years/ >. hey differencebetween.net its Rhiannon and I would just like to say that you came up with a really good answer to my question. Thank You.